The Nigeria film industry has always fascinated Jonathan Haynes right from his first visit to Nigeria as a Fulbright lecturer in the 90s. A chance meeting with film aficionado Onookome Okome further stirred that desire which eventually led to an academic research on the history of the film industry in Nigeria. But that wasn’t what caught Haynes attention initially. He was first of all captivated by the country itself with its diverse ethnic groups and system of governance. It was while attempting to understand this unique set of people that Haynes discovered a crop of independent entrepreneurs who sought to tell the African stories in the way they know best: through films. The manner and vigour with which the filmmakers struggle to tell these stories with little or no help from the government was very astonishing to Haynes. As he pointed out in his book “Nollywood: The Creation of Nigeria Film Genres”, the films are a record and interpretation of contemporary Nigeria, a social and emotional history. These stories soon became popular culture in the continent as many within and outside Africa resonate with the plots and themes explored. It was the birth of Africans telling their own stories, though the quality of films produced was questionable. At a time when Africans stories are told through the Western eyes, Haynes was impressed by the dominance of Nigerian filmmakers in telling stories that resonated with their audience even if the aim was to make cheap commercial success. He was more intrigued by their business model to churn out big numbers of films within a low budget, a practice that earned the industry the third largest film industry in the world. Over the years, Haynes interest in the film industry has not waned. He witnessed the boom of video films in the early 90s, the birth of Nollywood- a controversial term which he argued is not synonymous to the Nigerian film industry, and of course the new Nollywood pioneered by filmmaker Kunle Afolayan. He also saw how filmmakers struggle with piracy and the lack of structures and funds to help the art of filmmaking easy. In all of these, Nollywood has continued to surprise Haynes- both in good and bad ways. 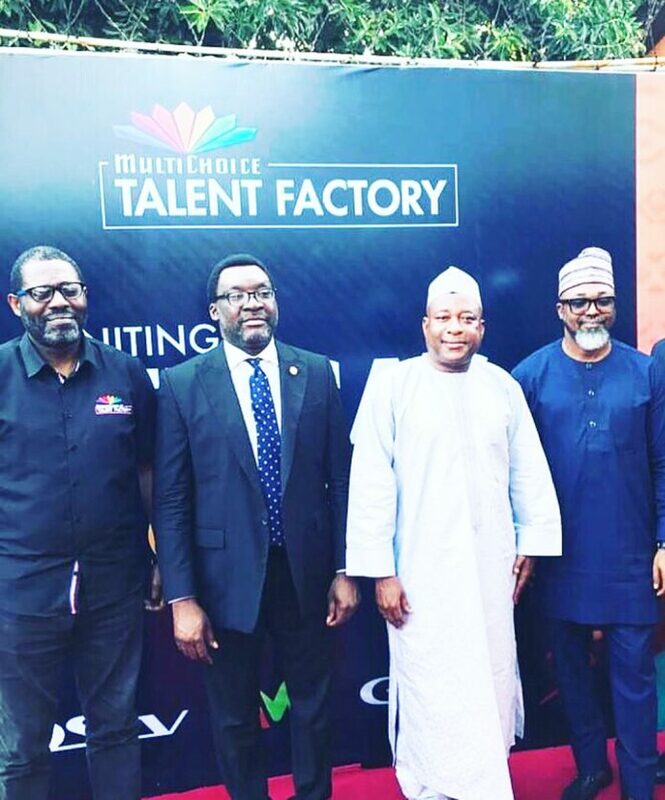 It was one of the good ways that made him catch a flight from US to Lagos to witness the official opening of Multichoice Talent Factory recently. In May this year, MultiChoice Africa announced that it was embarking on a project to empower young creatives whose passion lie in filmmaking. The initiative called Multichoice Talent Factory (MTF) will involve three stages and will spread across three regions in Africa: Southern Africa, West Africa and East Africa. Each of these regions will have a learning hub known as MTF Academy which is the first touch point of the initiative. Nigeria is the hub for West African, Kenya for East Africa and Zambia for Southern African countries. The Academy which is a 12-month intensive training will focus on the youth market and a curriculum will be developed in partnership with relevant local and international industry experts. Other touch points of the initiative include Masterclasses for film practitioners and a portal for the filmmakers to network and market their ideas. Over 3000 applications were received across the continent for the training. Through a rigorous selection process, 60 students were picked, 20 from each region. In West Africa, mostly Nigerians and Ghanainas made the cut. The session was to begin on October 1. MTF is the second time MultiChoice Africa is intervening in the development of the creative history on a big scale. Two decades ago, it launched New Directions, an initiative to empower the crop of budding filmmakers in the continent. Filmmakers like the late Amaka Igwe, Tunde Kelani and Femi Odugbemi who is the Academy Director of MTF West Africa were among the recipients of that training. However, MTF is slightly different from New Directions – though their goals are same: to stimulate the growth of African fimmamkers – by giving birth to not only the new generation of filmmakers but also to institutions as Odugbemi stated in an interview in June. “It is a film school, a business school, a passion school wrapped into one. It has the potential not only to empower the participants to become great professionals in whatever their chosen skill focus is; whether they be writer or director, it really empowers them in a powerful way with up-to-date information the likes of which you can only get from the best film schools across the world. On Friday, September 28, the 20 students from the West Africa region arrived at their new habitat- a well-furnished residence tucked in the serene environment of Lekki. While they were still catching their breath, Odugbemi bundled them to The Light Camera Africa Film Festival, organised by Ugoma Adegoke. For the three-day the festival lasted, the students were at the Muson Centre, Onikan, Lagos, feasting their eyes on the various films screened, from documentaries to feature films. If they thought the festival was just an opportunity to familiarise themselves with the programme, they were mistaken. By Monday morning, October 1, when they resumed classes, Odugbemi asked them to review three films they enjoyed at the festival including the opening film, ‘Kasala’ by Ema Edosio Deelen. On Tuesday morning, they received a surprise visit from Deelen who interacted with them and got the opportunity to listen to their thoughts about her feature film. At the official opening ceremony, the students basked in the spotlight as they were addressed by major stakeholders in the industry. But not for too long. 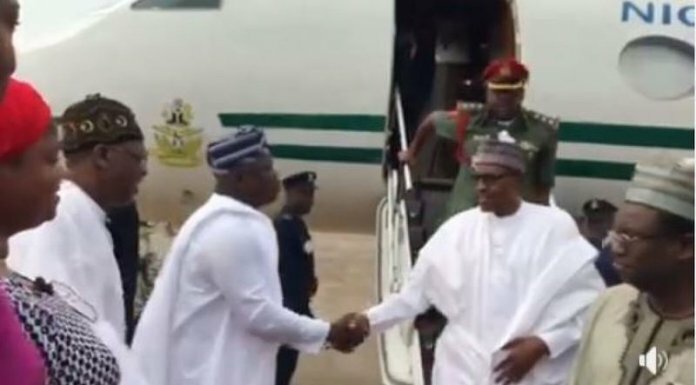 Just as they were heading back to their residence, Odugbemi once again handed them a book titled “The Little Book of Quantum Success” by Sammy ‘Sage’ Hassan which they were to review that night and submit their reviews the following morning. “I want them to read books, not only film themed books. That way, they can expand their knowledge. We are serious about this programme. I don’t want them to just read and study film. We don’t want to teach them what is already available online. If that was the case, this will be a total waste of time. We have great professors coming to teach them and they will also embark on an immersion programme. We really mean business,” said Odugbemi. As Haynes sat among the distinguished guests at the ceremony, he couldn’t help but marvel at this intervention which he described as a rare example of good corporate citizenship.